The very latest Small Companies list that can be used for direct marketing including Sales & Marketing. Prior to supply, the Small Companies list will be screened against the very latest Mailing & Telephone preference files as well as our own 'do not contact' file. There are over 1.8 million small businesses in the UK spread across 2,700 different business types (from Abattoirs through to Zoos). Have a flick through a Yellow Pages or download our list of business types of have a look at the diversity of small businesses. Fees Depending on how you classify small businesses (by the size of turnover or by the number of employees they have) then we can extract the lists. Government defines small businesses as single site establishments with less than 6 full time employees (this may therefore exclude establishments that are not part of a group and not having multiple sites). You need to take into consideration things like franchises that are independently owned. 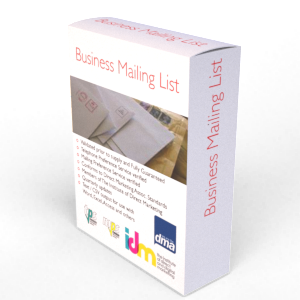 No matter what your definition then there is a list of small business that we can send you. All of the records we supply will have been telephone verified to confirm the details we release to you. This ensures the information is current and that the Small Businesses are trading. Rather than take the entire list of Small Companies list (there are over 1.8 million in the UK) you can select by a specific area such as a Postcode or County. In addition you can request certain employee sizes or turnovers. There are an additional 250 or so fields to use when refining the list you require.